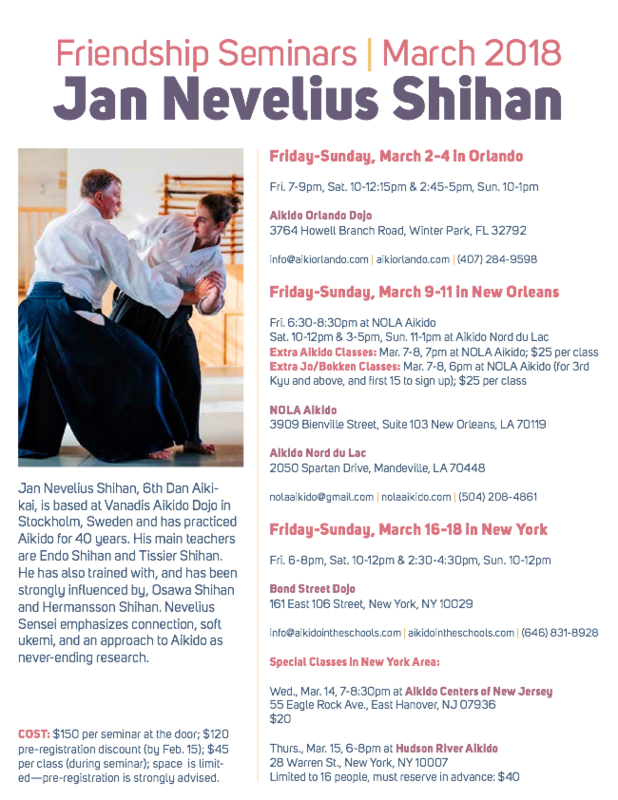 Welcome to the Registration page for the upcoming Friendship Seminar with Jan Nevelius Shihan in New York City, March 16-18. We are honored to welcome Nevelius Shihan back to New York for the 9th consecutive year, and are looking forward to seeing you all on the mat !!! Nevelius Shihan will also be teaching Special Classes on March 14th at Aikido Centers of New Jersey in East Hanover. The cost for that special class will be $20 at the door. The complete flier is at the bottom of this page.